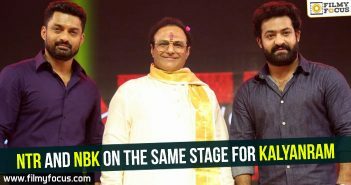 Quality to work hard Nandamuri Taraka Ramarao started off very young as a milk boy and slowly started taking an interest in acting. 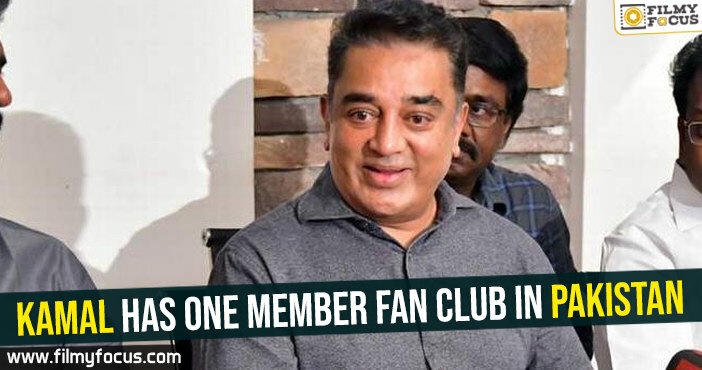 With theater he understood what acting and with utmost respect and hard work in Chennai, he became the greatest actor in Telugu Cinema and an icon. 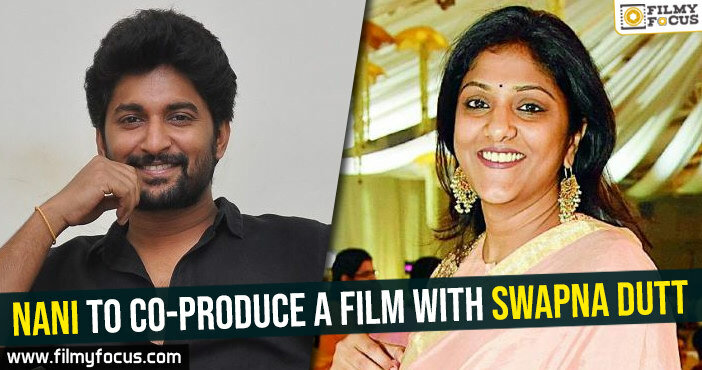 Similarly, Jr. NTR learnt the importance of hard work at a very young age. Starting off too young, he had to go through hard ordeal to prove himself as a commercial hero. 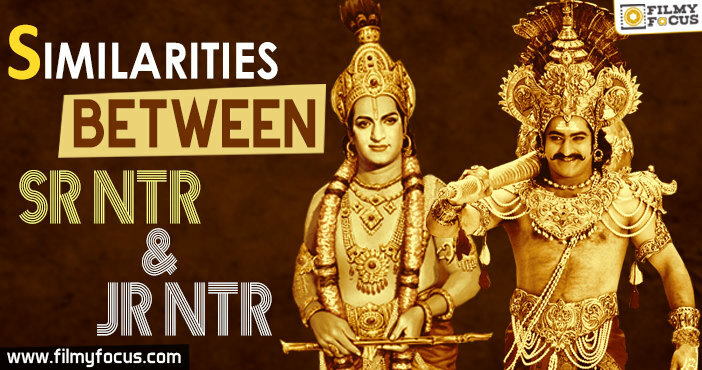 Love of Mythological characters When you think about NTR, the three words ring a bell in Telugu households as synonymous to Krishna, Rama and mythological legends. 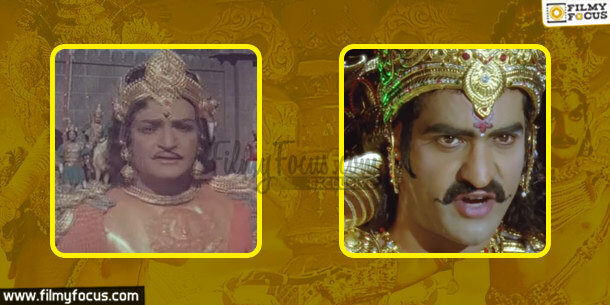 NTR also performed as Ravana, Duryodhana, Karna in many of his films to great reception. 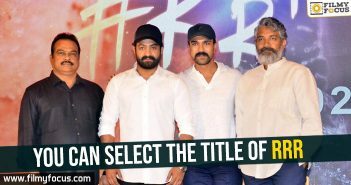 Such a legendary actor’s grandson, Jr. NTR also developed a love for mythological characters and he is waiting for a full fledged script that will deal with mythological characters. To show what he can do, he worked in Yama Donga as Young Yama to a healthy reception. 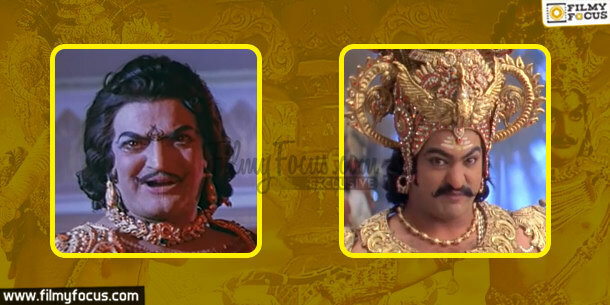 Ready to do Variety Characters NTR did not become a great actor and an icon just because of one or two roles. He did great job with variety of roles and never shied away from experimentation. Even Mayabazaar, Krishna role was a experiment too. 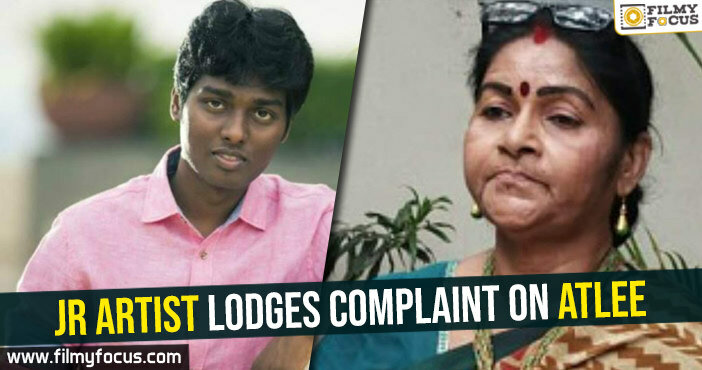 After this, he did a lot of such roles as a old school master in Badi Pantulu and been part of many lady oriented films too at an age when hero centered films were dominating. 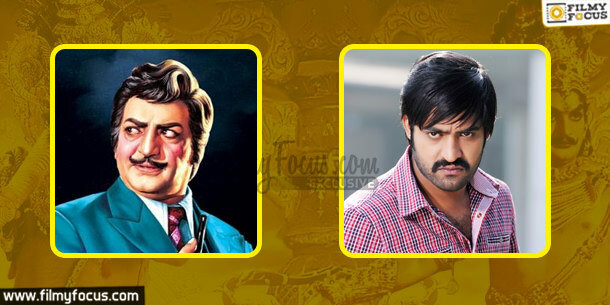 Similarly, Jr. NTR also developed a penchant for variety of subjects and roles as well. He did variety with class, mass and family oriented subjects too. Belief on Number 9 NTR believed his lucky number to be 9 and even he became Chief Minister within 9 months of announcing his Political party. He maintained a license number on his car as 9999 as Chief Minister as well. 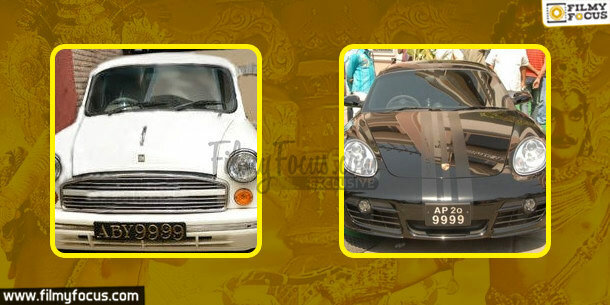 Jr. NTR too believes 9 to be his lucky number and always maintains his car license number to be 9999. Even though he had spend a fortune for that registration number, he never backed out. Philanthropy Sr. NTR is known for his philanthropy activities and big heart. As a Chief Minister too, he introduced lot of welfare schemes for poor and that is due to his heart for them. 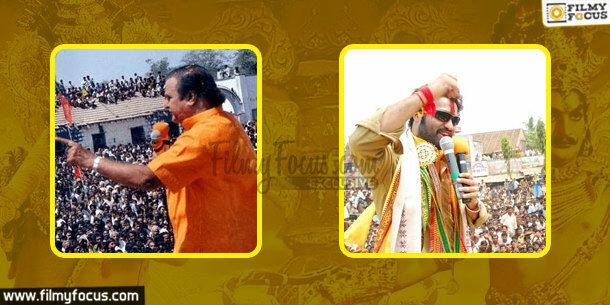 He never thought twice when it was to help the backward classes and Jr. NTR too believes in philanthropy. He had helped a lot of people around him and through his mother, anonymously as well. He took to politics for the same reason. Dialogue delivery When it comes to performing a dialogue with correct diction and expression, NTR was flawless. He is known for delivering any kind of lengthy or complex monologue perfect to the tee without missing a beat. 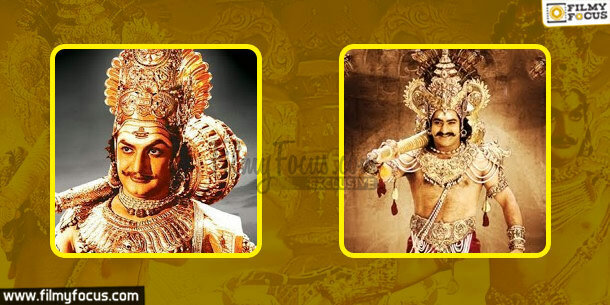 Jr. NTR too is known to have inherited that quality from his grandfather. 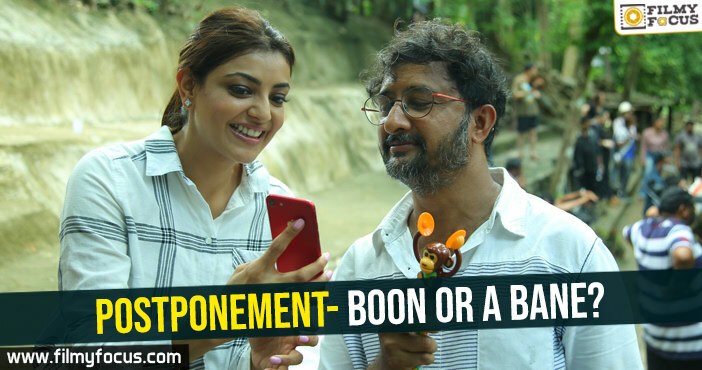 Among the young heroes he is known to be the best when it comes to dialogue delivery and he proved it many times by not just aping someone but creating a style for himself. You can say, the monologue he delivered in Temper court scene and Emantivi Emantivi, from Yama Donga. 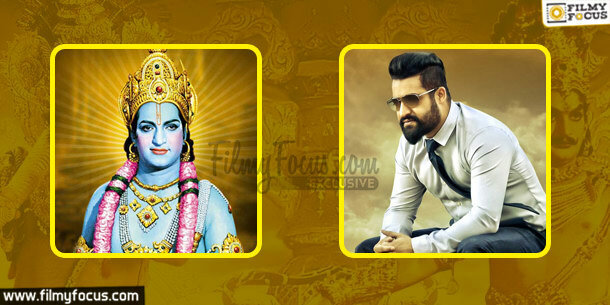 Great Telugu Diction When it comes to love for the language, NTR is known for being the icon of Telugu people. His Telugu speeches are known to be the greatest and his purist diction was quoted as exemplary as well. 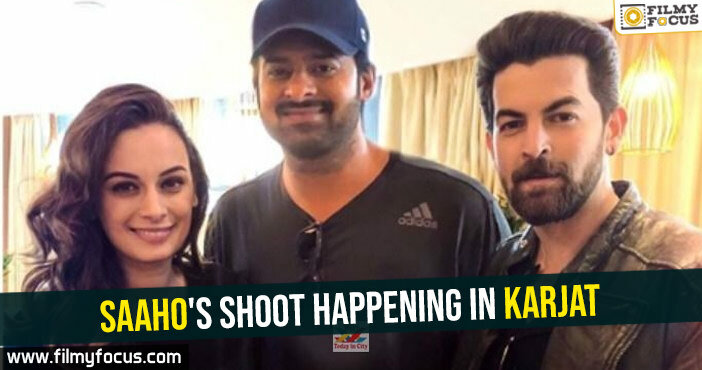 Now, Jr. NTR is known for his love for language as well. When you listen to his speeches to do understand how pure and lovable a Telugu speech can be. 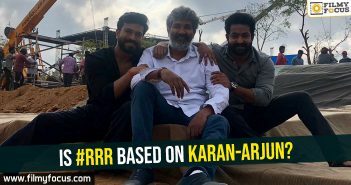 Is #RRR based on Karan-Arjun?